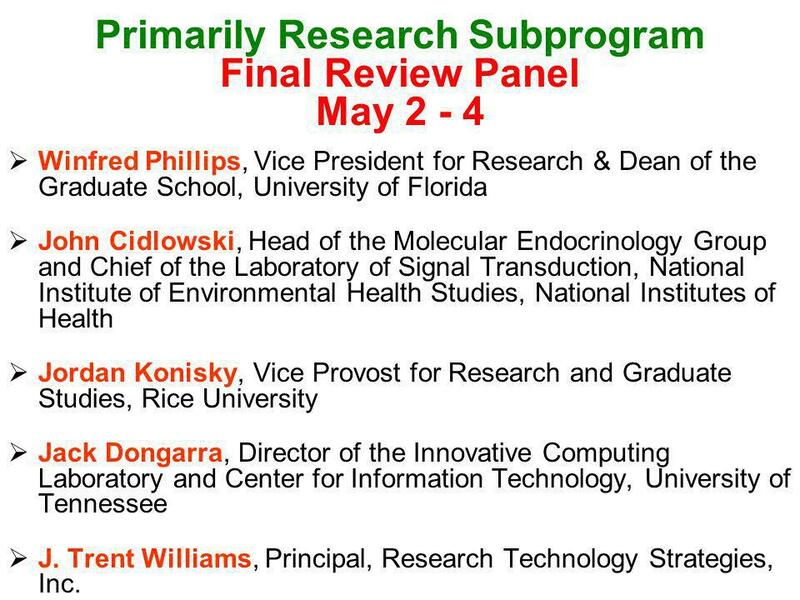 Winfred Phillips, Vice President for Research & Dean of the Graduate School, University of Florida John Cidlowski, Head of the Molecular Endocrinology Group and Chief of the Laboratory of Signal Transduction, National Institute of Environmental Health Studies, National Institutes of Health Jordan Konisky, Vice Provost for Research and Graduate Studies, Rice University Jack Dongarra, Director of the Innovative Computing Laboratory and Center for Information Technology, University of Tennessee J. Trent Williams, Principal, Research Technology Strategies, Inc. 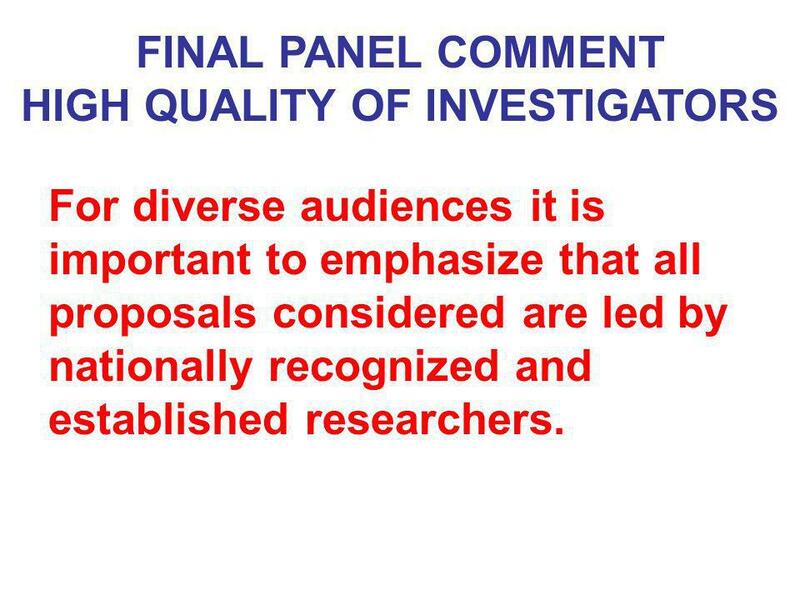 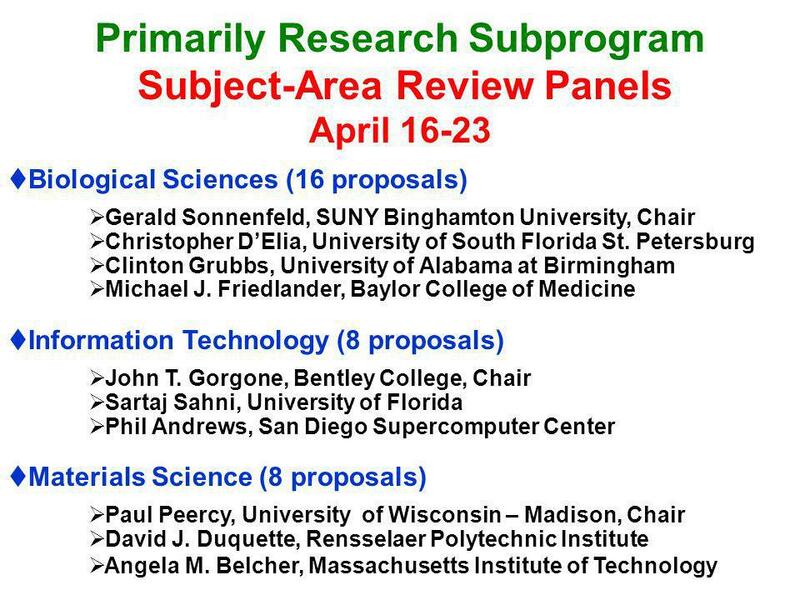 FINAL PANEL COMMENT HIGH QUALITY OF INVESTIGATORS For diverse audiences it is important to emphasize that all proposals considered are led by nationally recognized and established researchers. 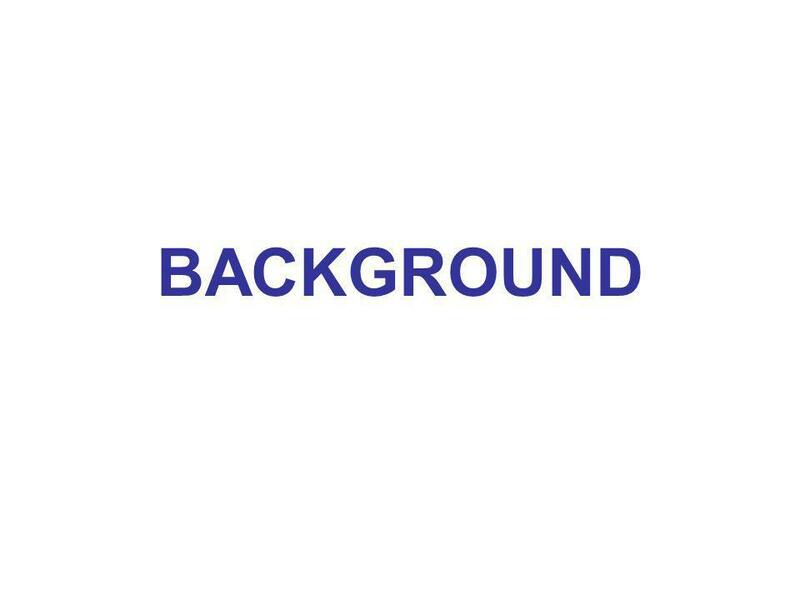 Interviewees Alistair Ramsay Professor of Medicine LSUHSC-NO Joseph Moerschbaecher V.C. 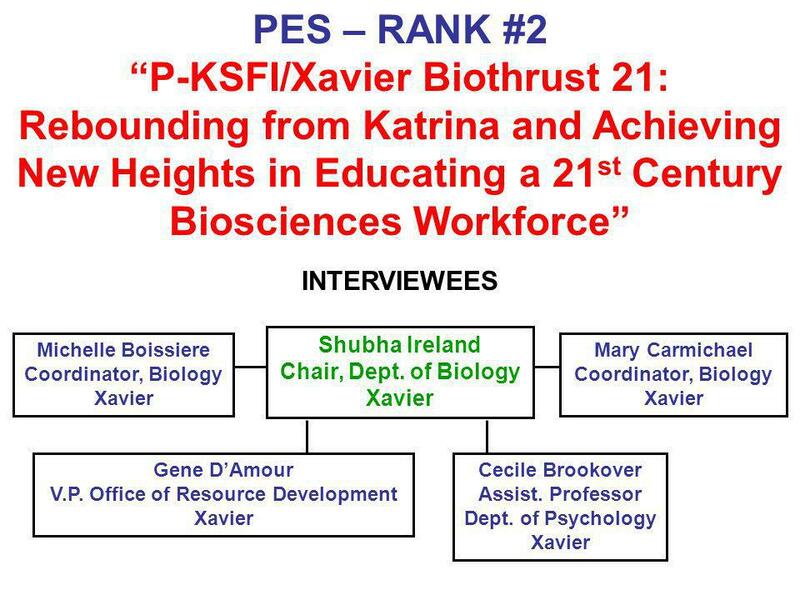 for Academic Affairs LSUHSC-NO Paula Gregory Associate Professor of Genetics LSUHSC-NO Tarun Mandal Professor of Pharmacy Xavier Aaron Miscenich Executive Director New Orleans BioInnovation Ctr. 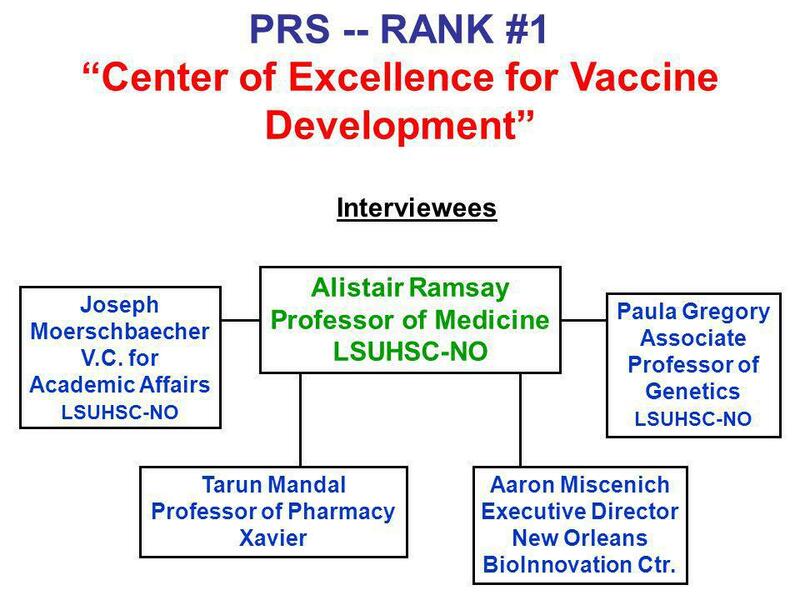 “Center of Excellence for Vaccine Development” -- #1 ●	These well-funded, productive, and outstanding researchers have the expertise to make the program successful. 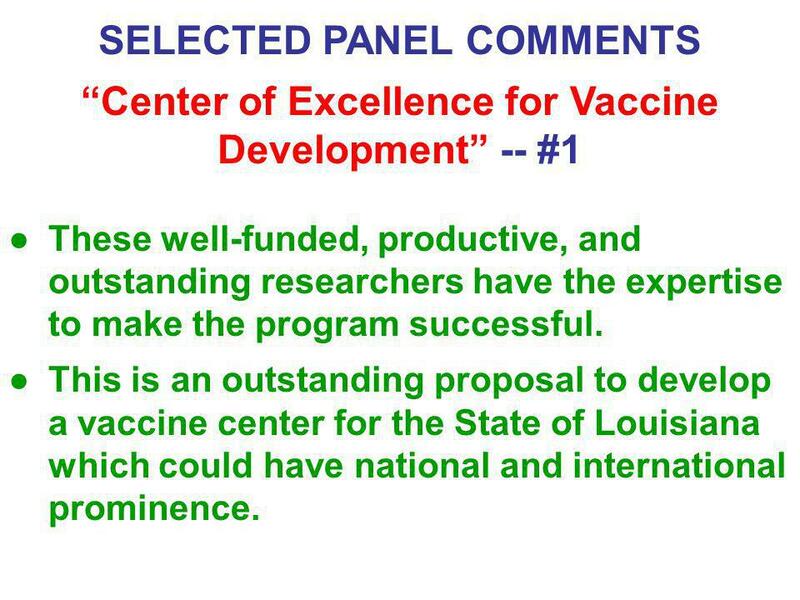 ●	This is an outstanding proposal to develop a vaccine center for the State of Louisiana which could have national and international prominence. 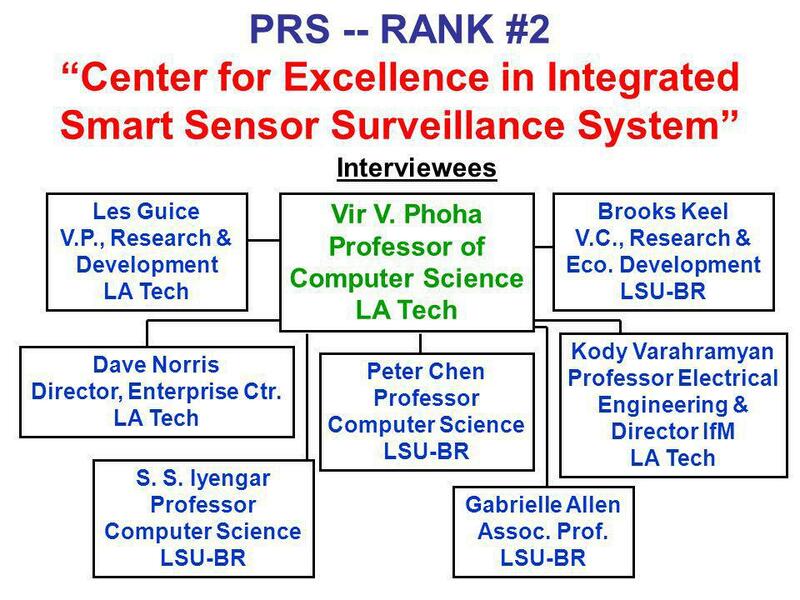 “Center for Excellence in Integrated Smart Sensor Surveillance System” -- #2 ●	Faculty expertise and experience is outstanding. 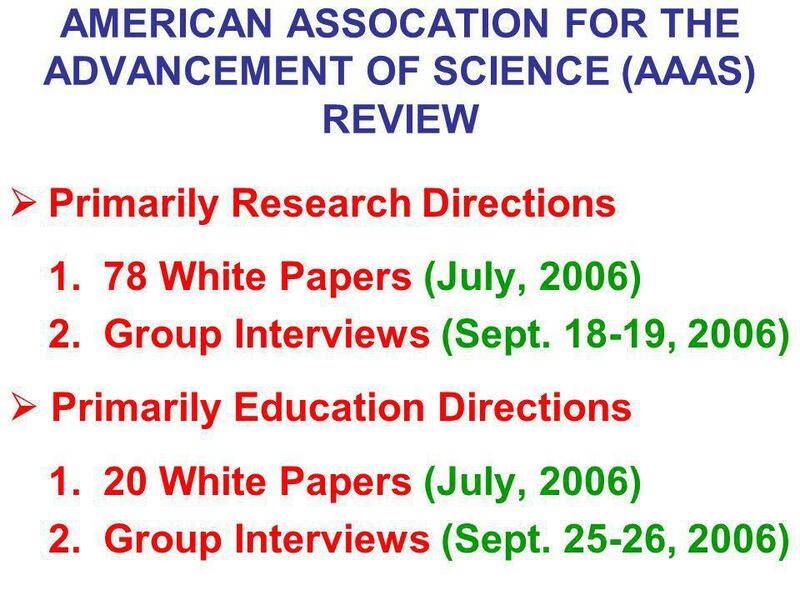 ●	The research is significant, innovative, and important. 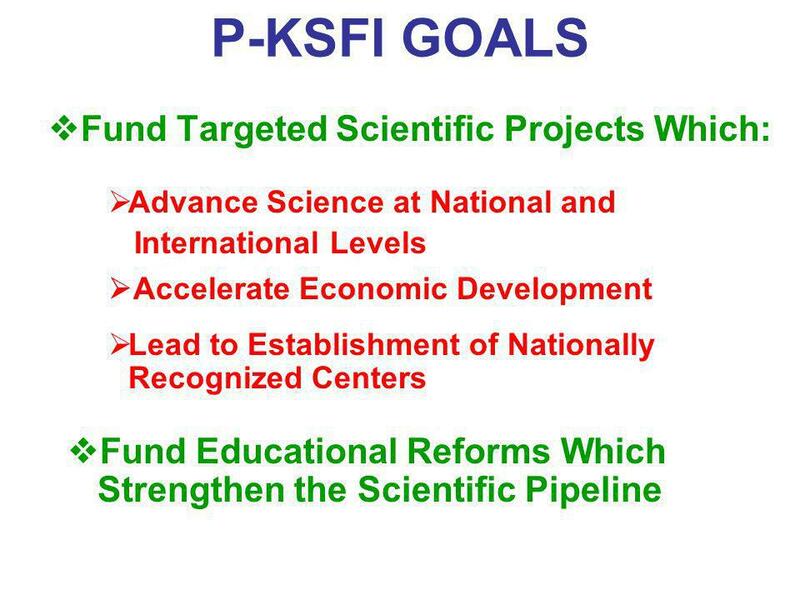 ●	This project achieves the goals of the P-KSFI PRS. 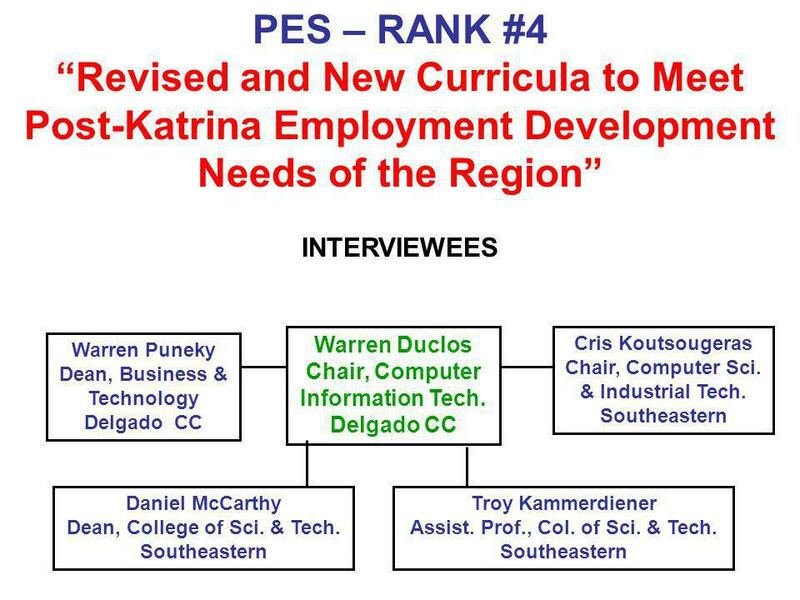 ●	If successful, this could become a world-class center. 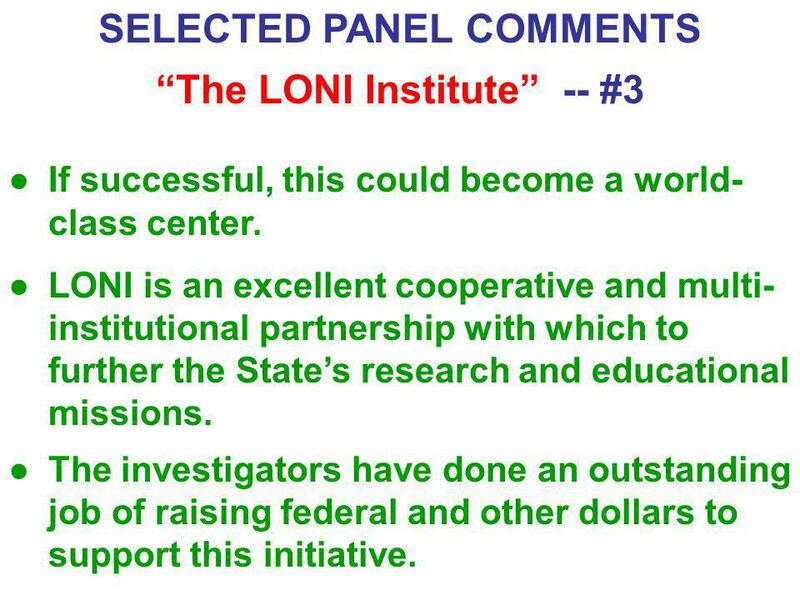 ●	LONI is an excellent cooperative and multi-institutional partnership with which to further the State’s research and educational missions. 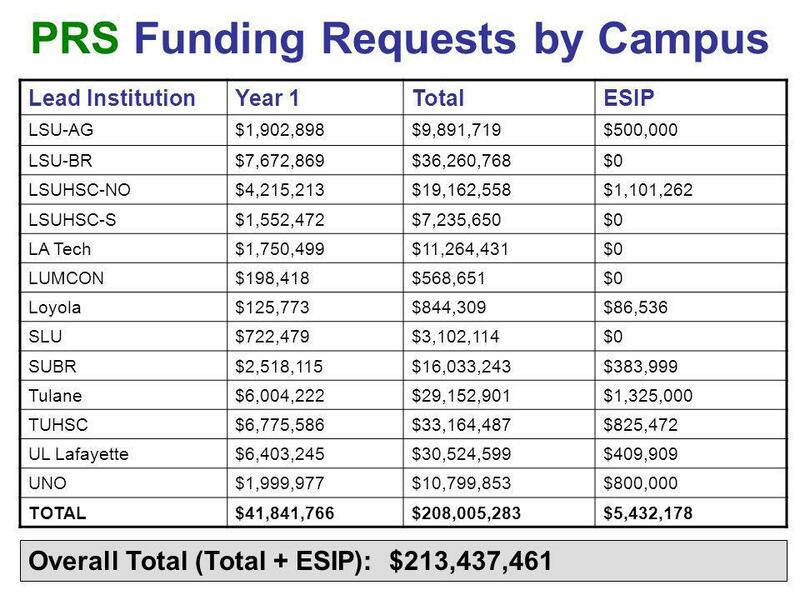 ●	The investigators have done an outstanding job of raising federal and other dollars to support this initiative. 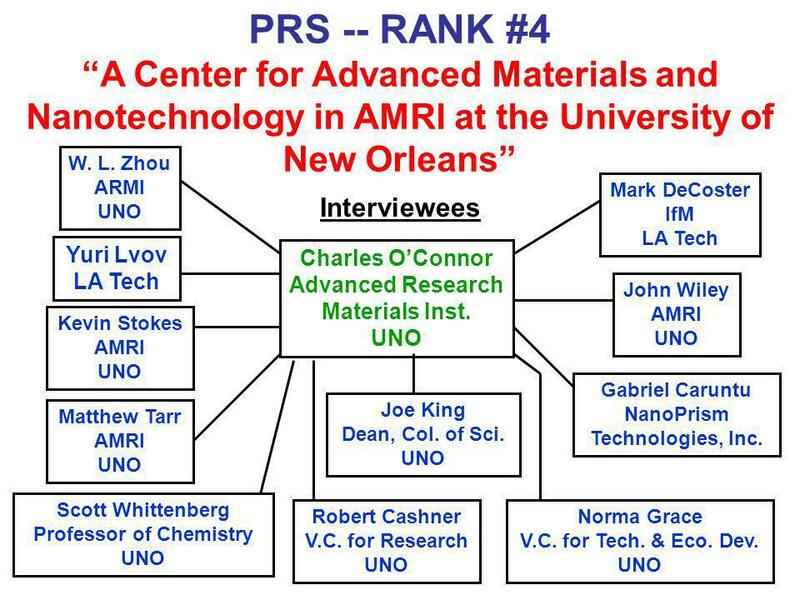 “A Center for Advanced Materials and Nanotechnology” -- #4 ●	This is a very strong group of well-established and productive investigators, many of whom have worked together previously. 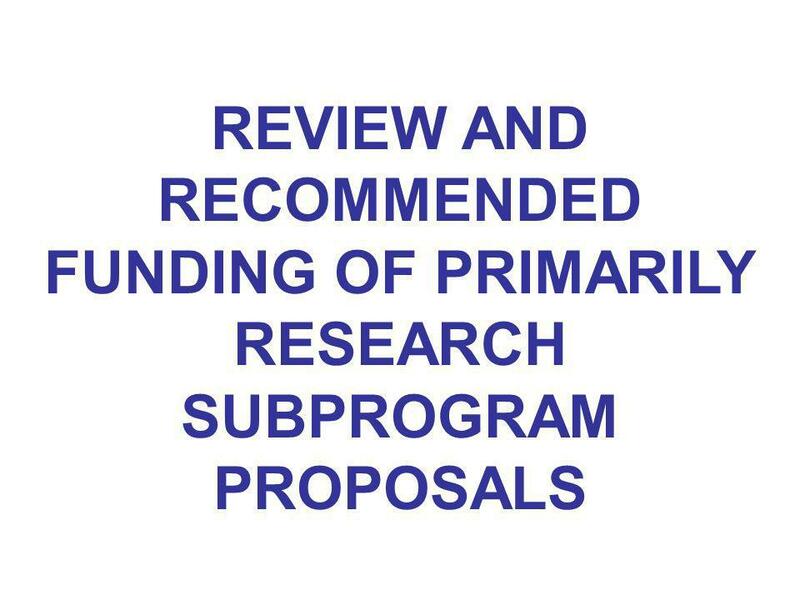 ●	The proposal presents very solid technology transfer and commercialization plans which are comprehensive in scope and well supported. 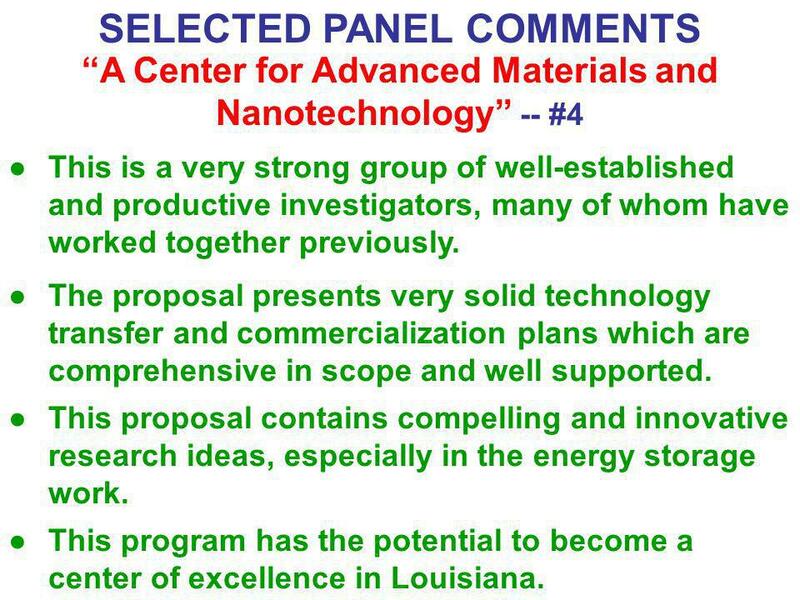 ●	This proposal contains compelling and innovative research ideas, especially in the energy storage work. 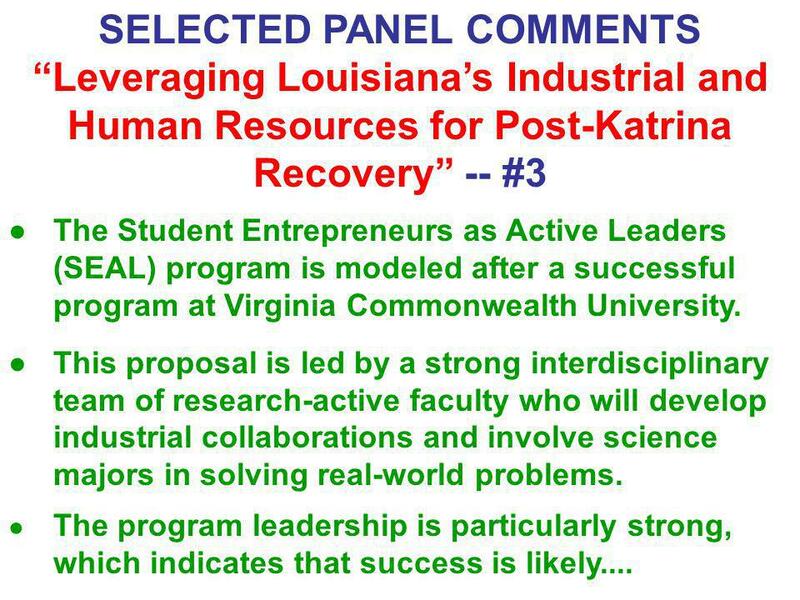 ●	This program has the potential to become a center of excellence in Louisiana. 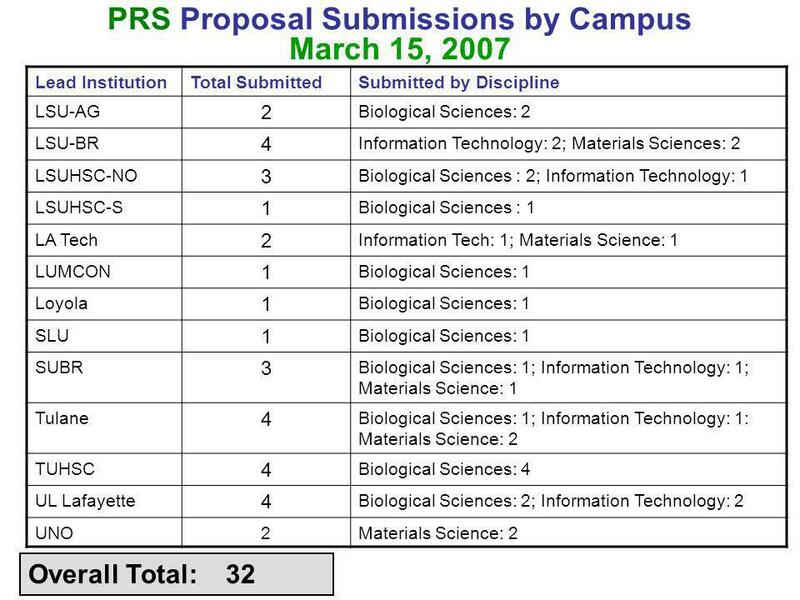 ______________________ *The lead institution is indicated in red. 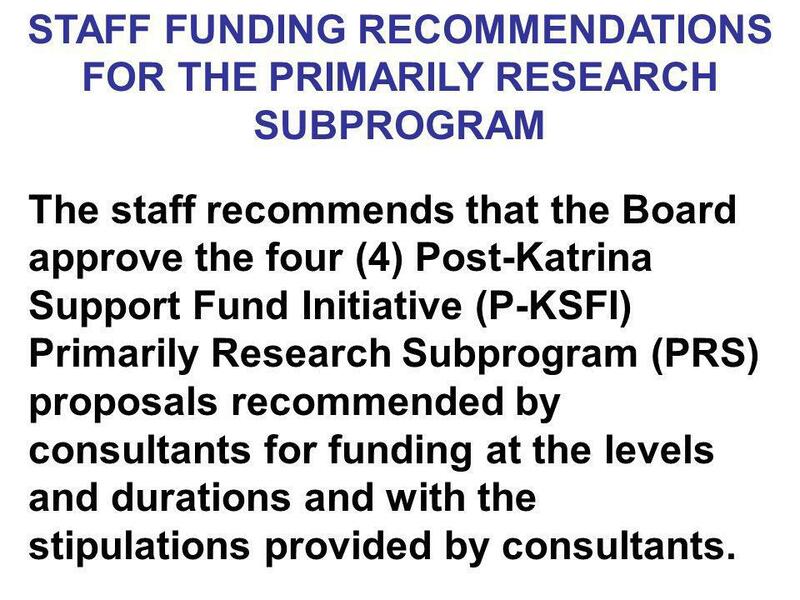 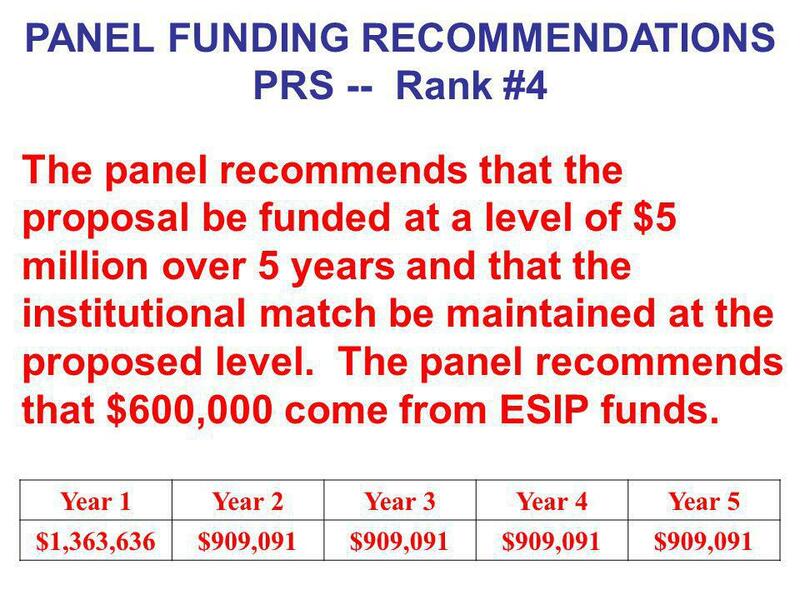 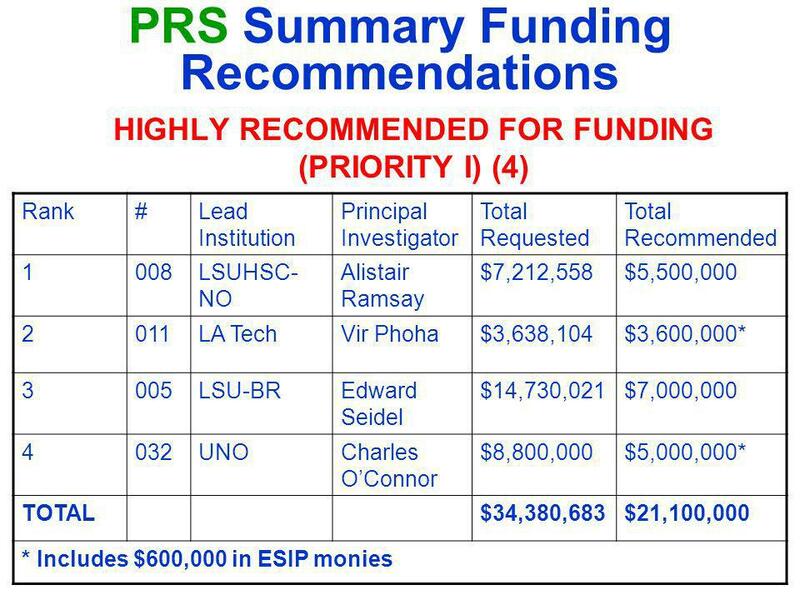 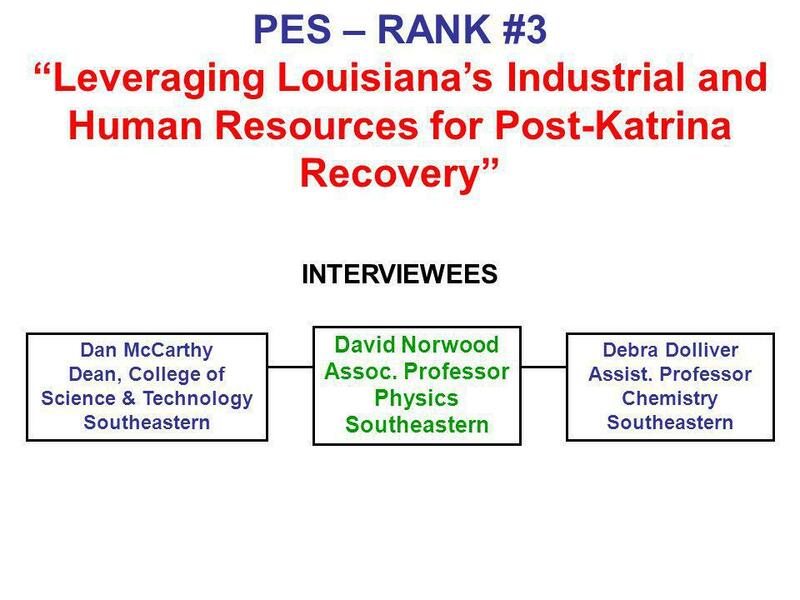 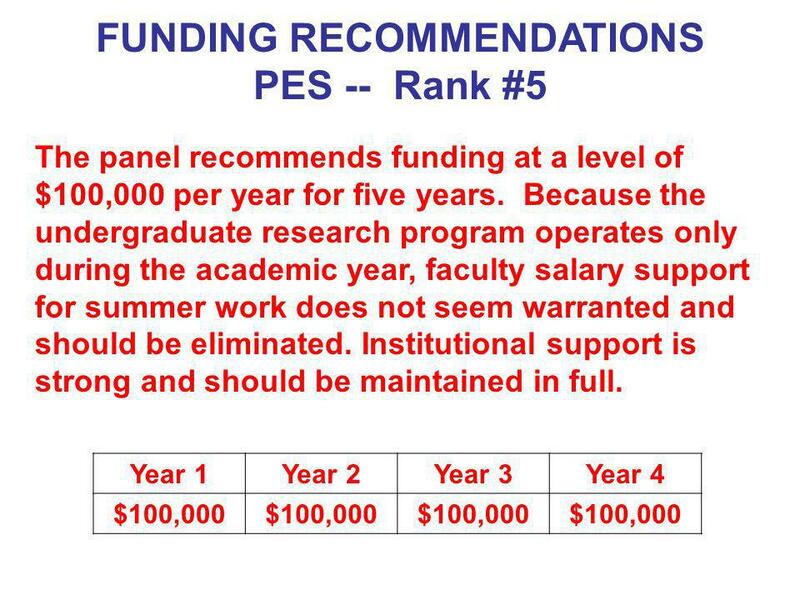 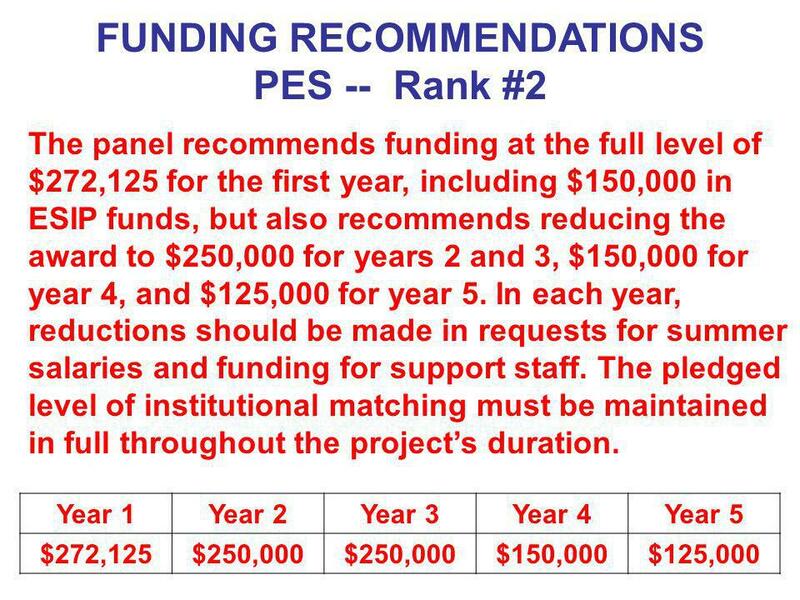 The staff recommends that the Board approve the four (4) Post-Katrina Support Fund Initiative (P-KSFI) Primarily Research Subprogram (PRS) proposals recommended by consultants for funding at the levels and durations and with the stipulations provided by consultants. 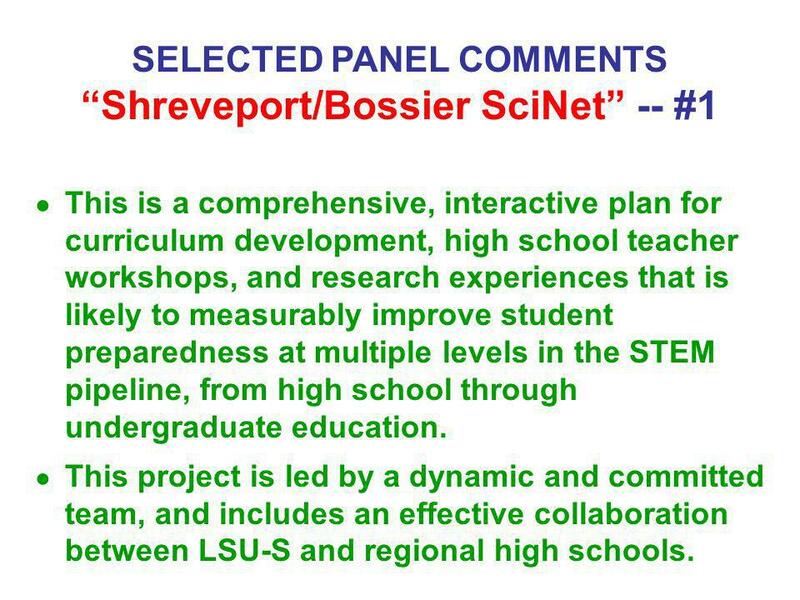 ●	This is a comprehensive, interactive plan for curriculum development, high school teacher workshops, and research experiences that is likely to measurably improve student preparedness at multiple levels in the STEM pipeline, from high school through undergraduate education. 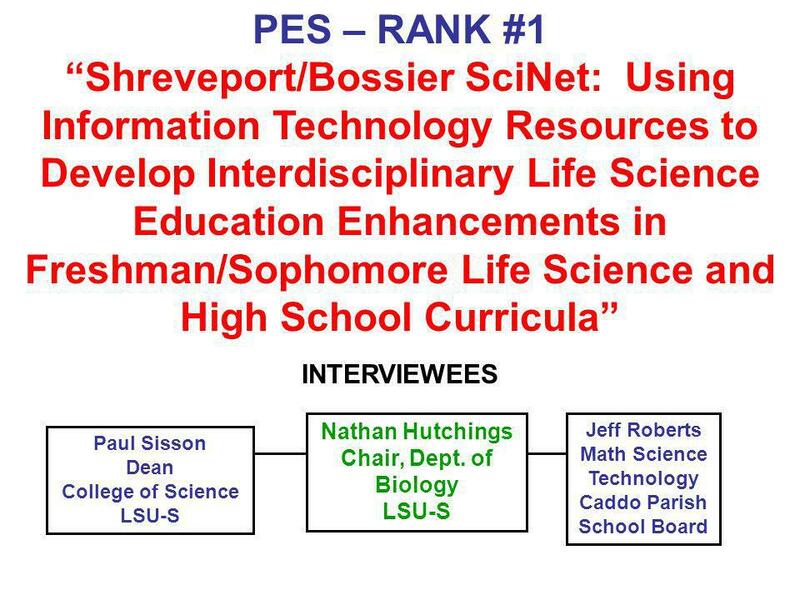 ●	This project is led by a dynamic and committed team, and includes an effective collaboration between LSU-S and regional high schools. 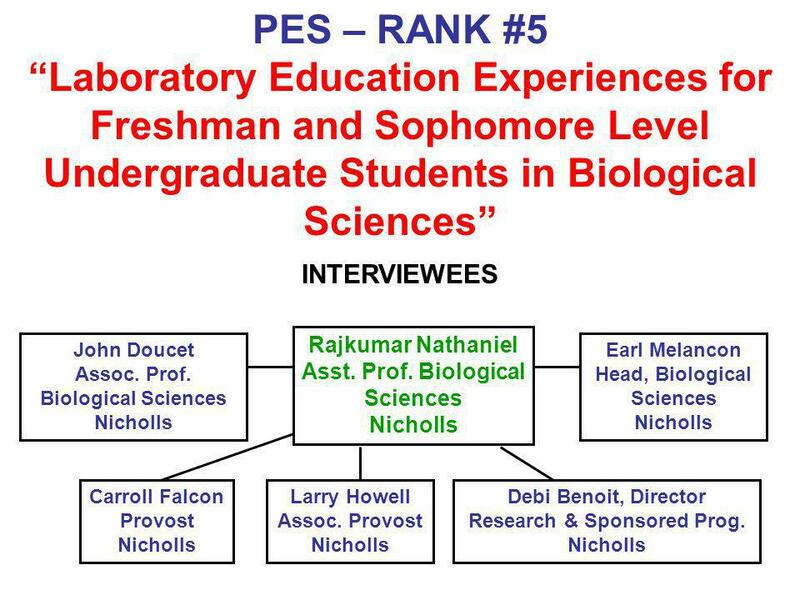 ●	This comprehensive project addresses the problem of sizable failure rates of students in introductory biology courses through laboratory and curriculum revision, tutoring and mentoring, and internships. 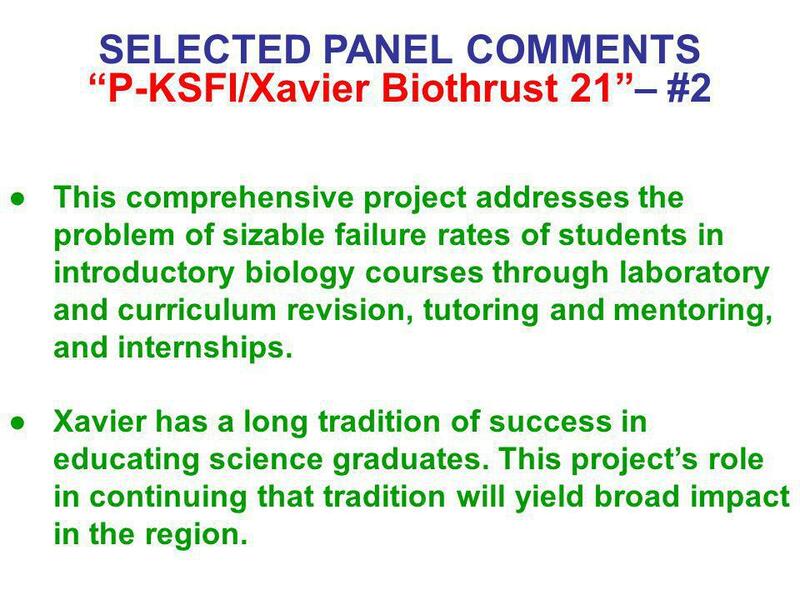 ●	Xavier has a long tradition of success in educating science graduates. 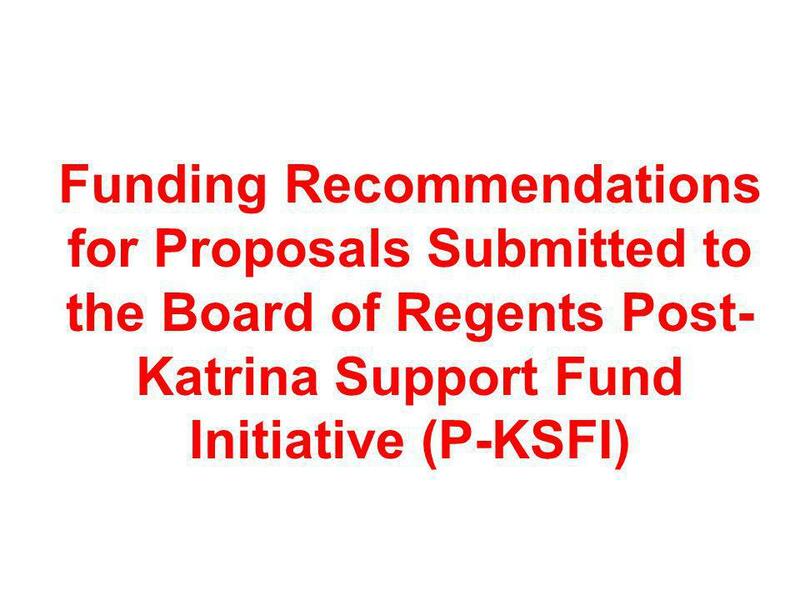 This project’s role in continuing that tradition will yield broad impact in the region. 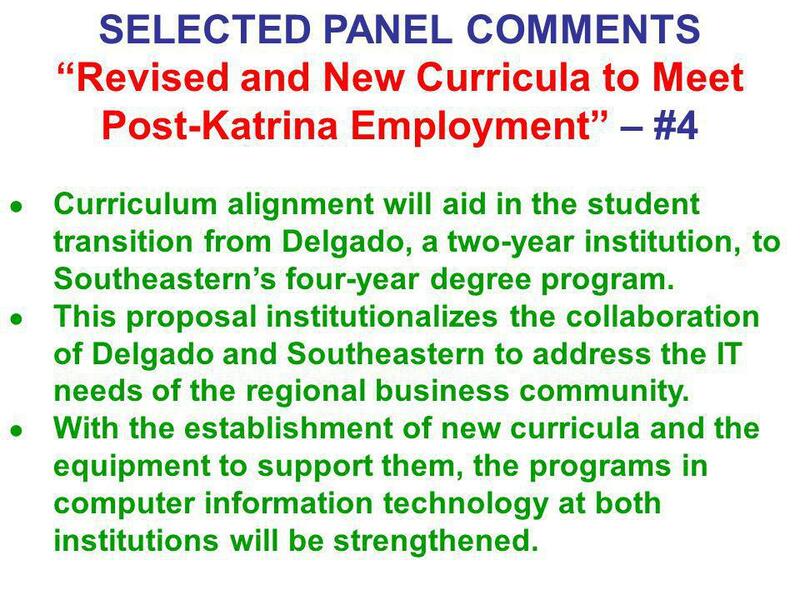 “Revised and New Curricula to Meet Post-Katrina Employment” – #4 ●	Curriculum alignment will aid in the student transition from Delgado, a two-year institution, to Southeastern’s four-year degree program. 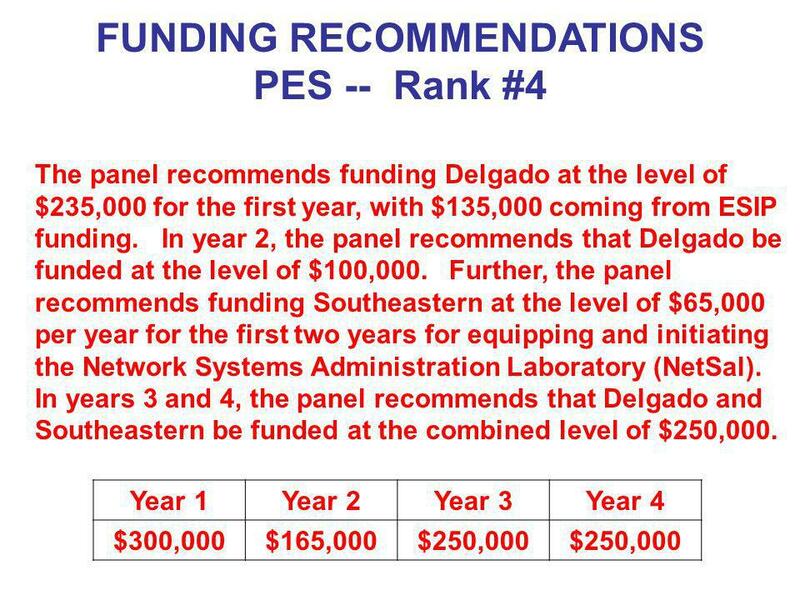 ●	This proposal institutionalizes the collaboration of Delgado and Southeastern to address the IT needs of the regional business community. 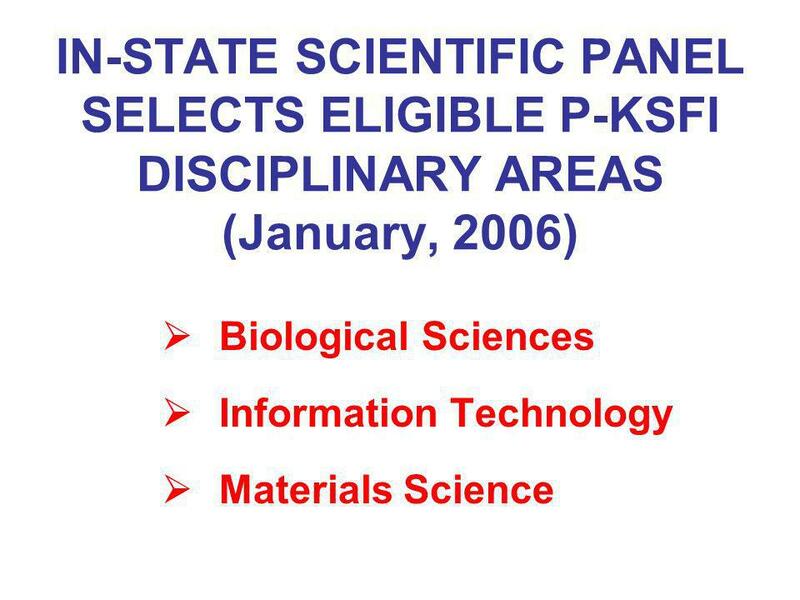 ●	With the establishment of new curricula and the equipment to support them, the programs in computer information technology at both institutions will be strengthened. 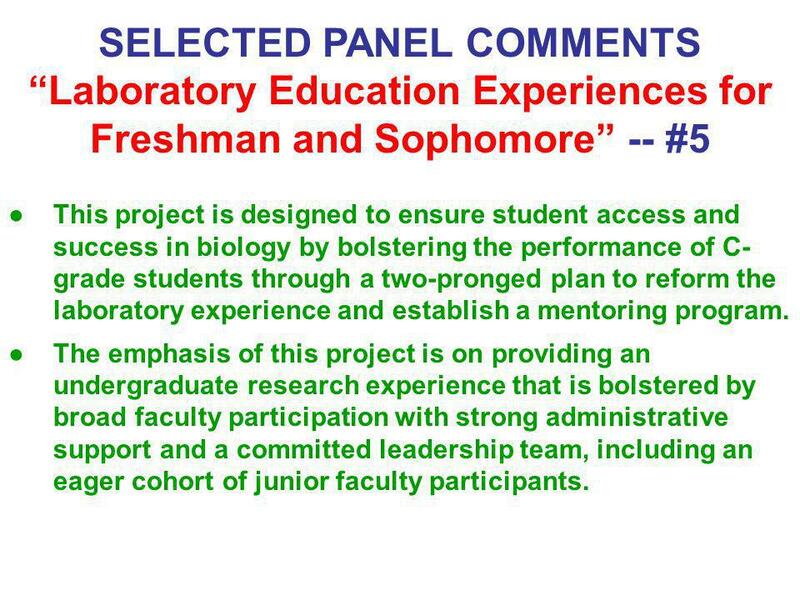 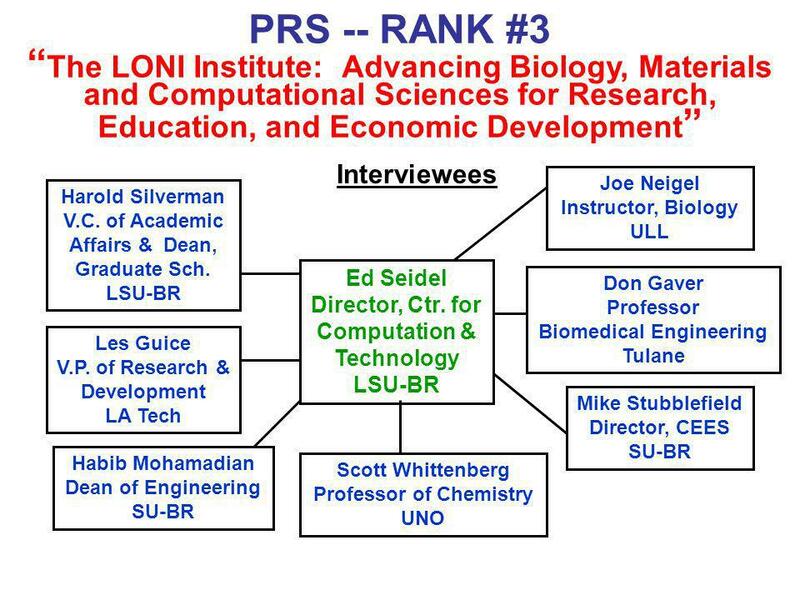 “Laboratory Education Experiences for Freshman and Sophomore” -- #5 ●	This project is designed to ensure student access and success in biology by bolstering the performance of C-grade students through a two-pronged plan to reform the laboratory experience and establish a mentoring program. 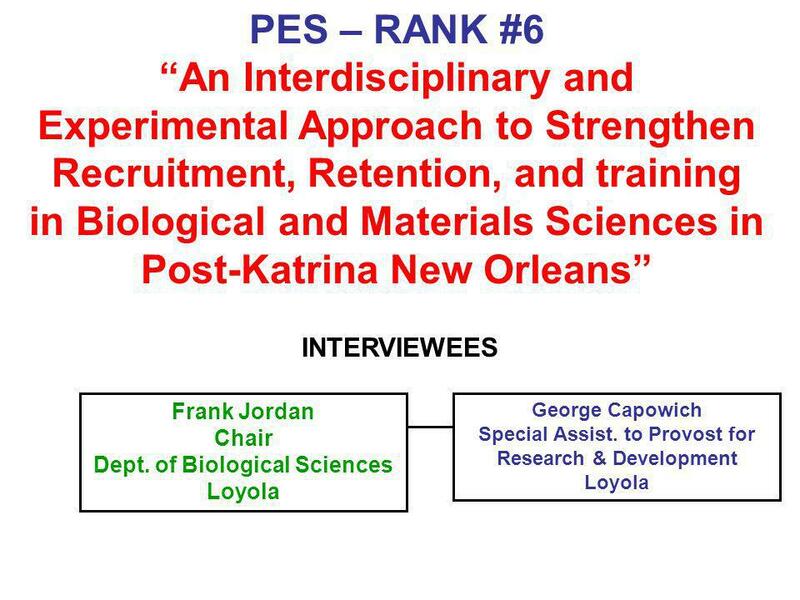 ●	The emphasis of this project is on providing an undergraduate research experience that is bolstered by broad faculty participation with strong administrative support and a committed leadership team, including an eager cohort of junior faculty participants. 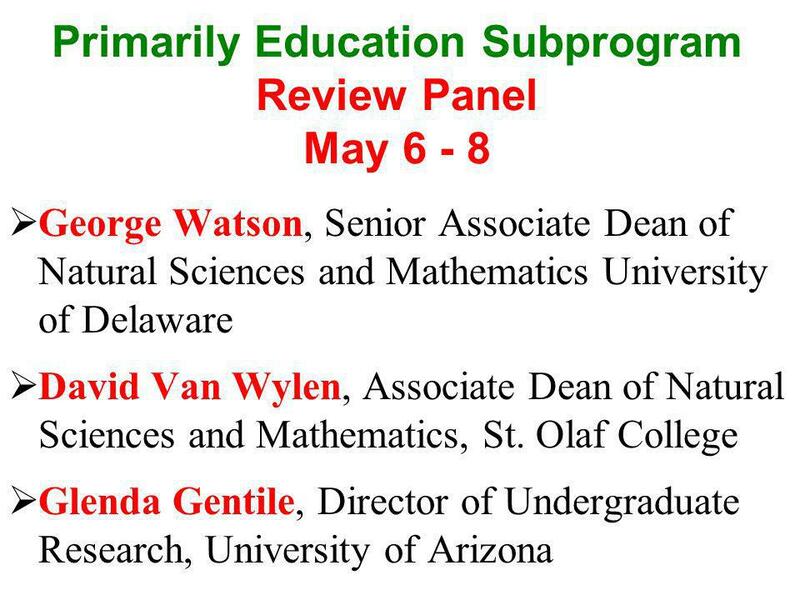 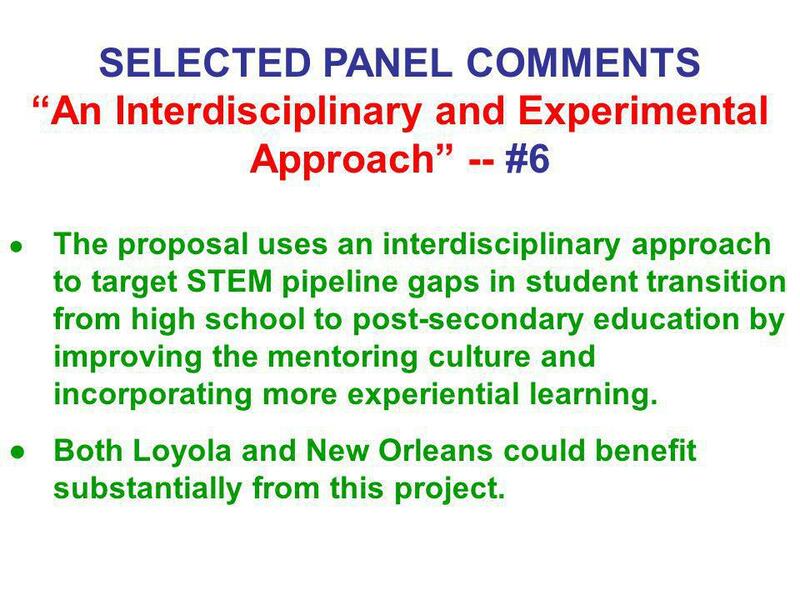 “An Interdisciplinary and Experimental Approach” -- #6 ●	The proposal uses an interdisciplinary approach to target STEM pipeline gaps in student transition from high school to post-secondary education by improving the mentoring culture and incorporating more experiential learning. 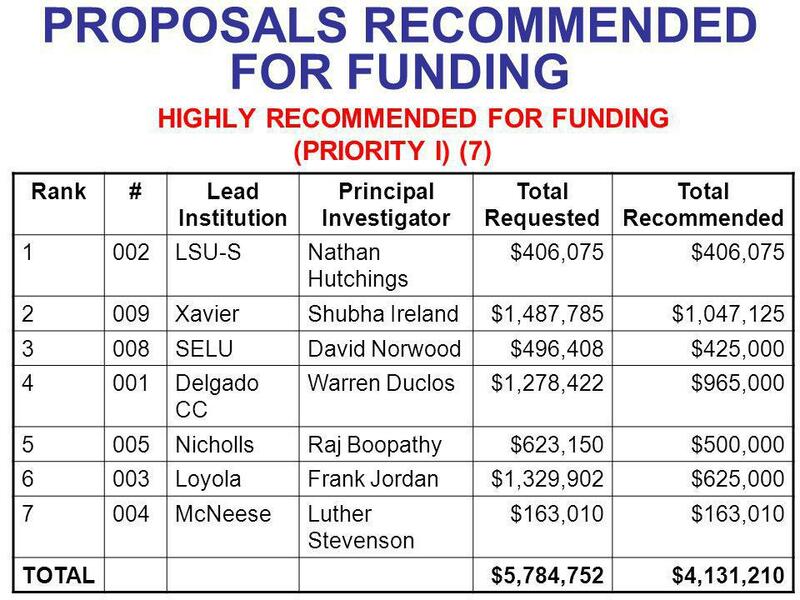 ●	Both Loyola and New Orleans could benefit substantially from this project. 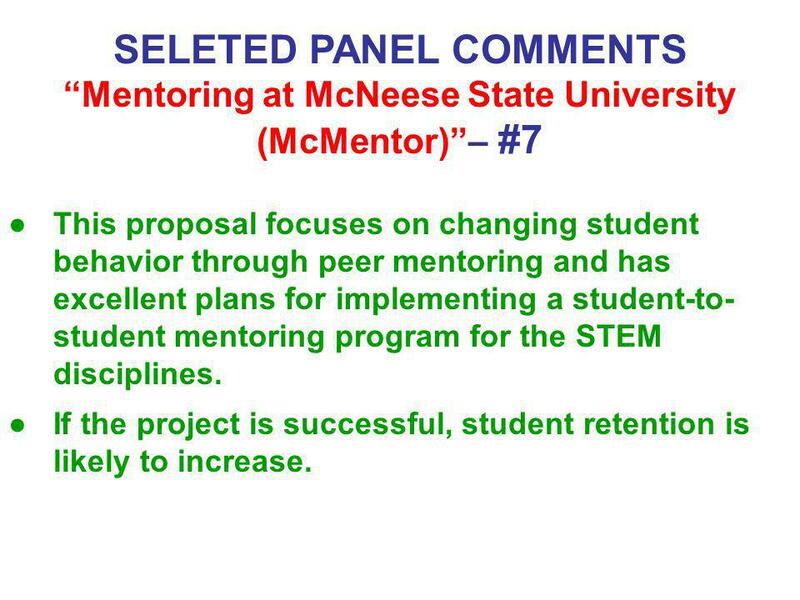 “Mentoring at McNeese State University (McMentor)”– #7 ●	This proposal focuses on changing student behavior through peer mentoring and has excellent plans for implementing a student-to-student mentoring program for the STEM disciplines. 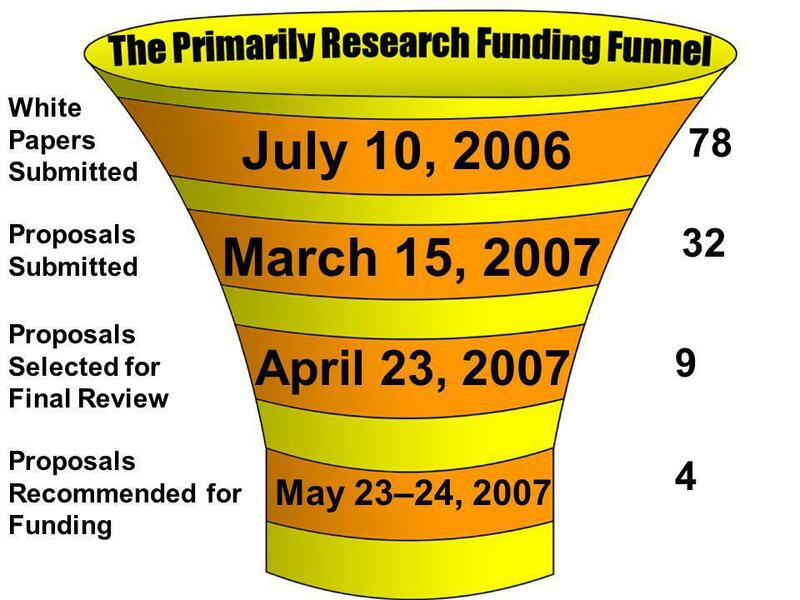 ●	If the project is successful, student retention is likely to increase. 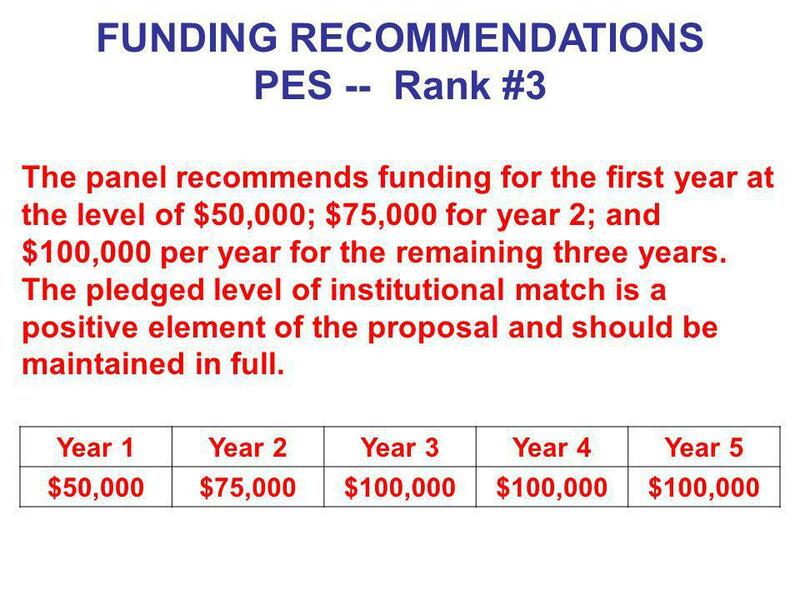 ______________________ *Institutions where not required to partner when submitting applications to the PES. 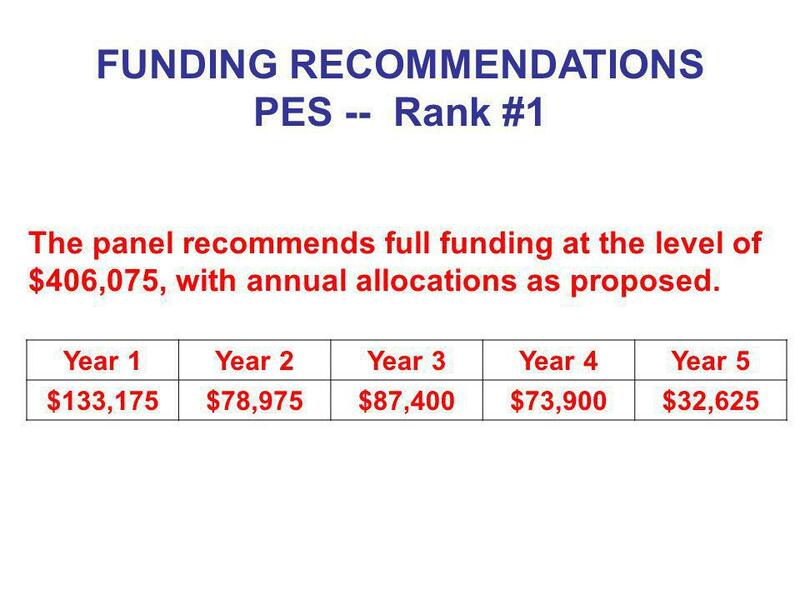 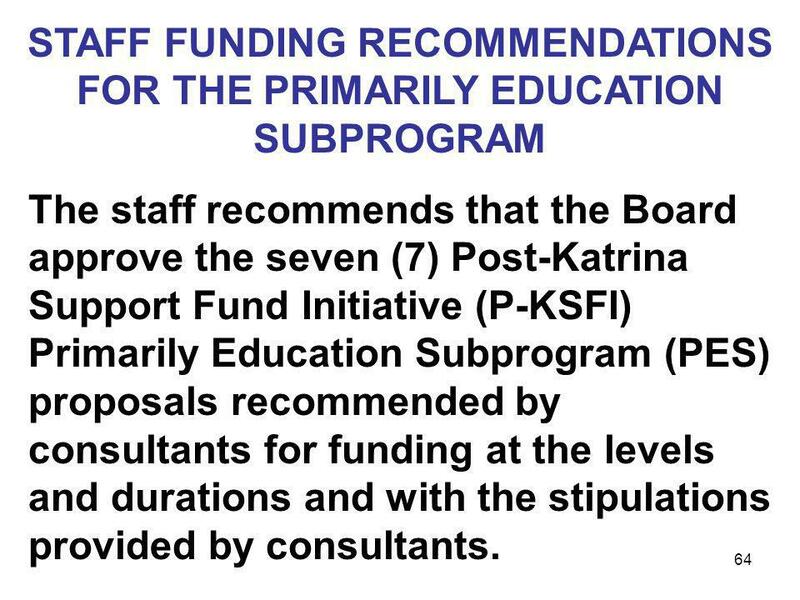 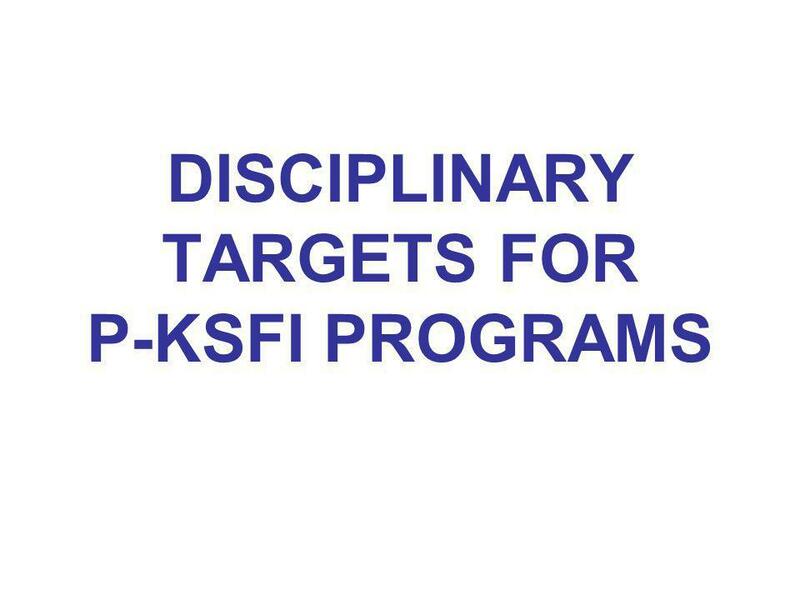 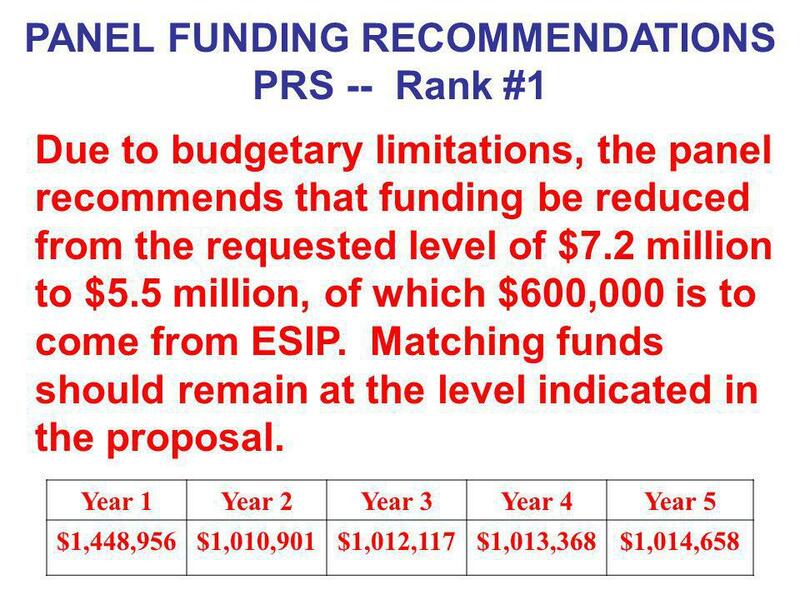 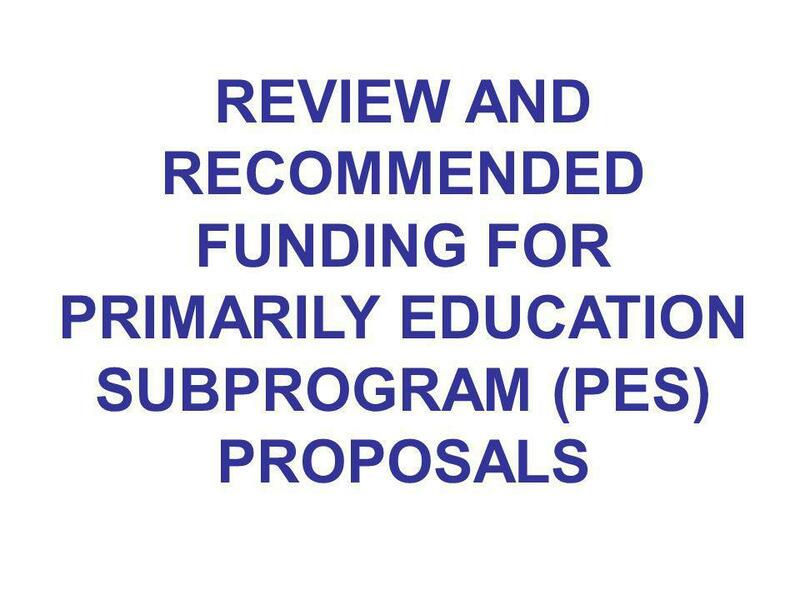 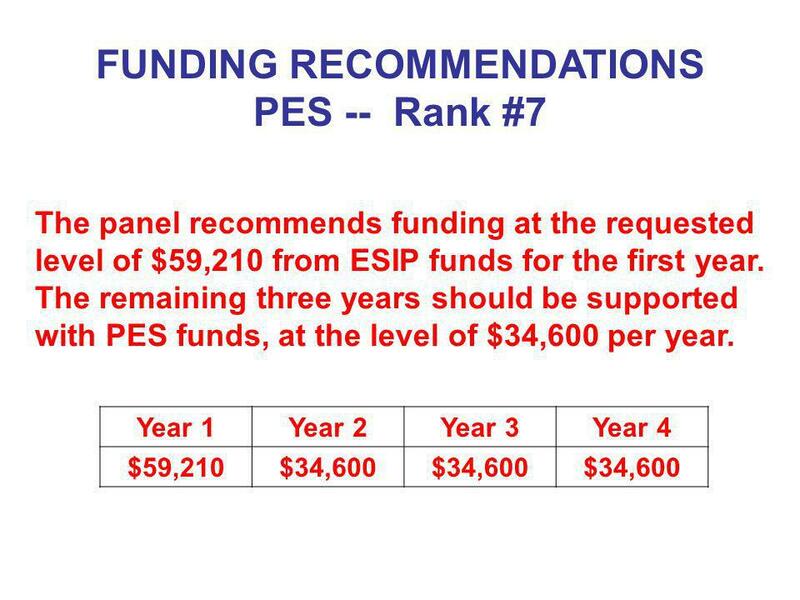 The staff recommends that the Board approve the seven (7) Post-Katrina Support Fund Initiative (P-KSFI) Primarily Education Subprogram (PES) proposals recommended by consultants for funding at the levels and durations and with the stipulations provided by consultants. 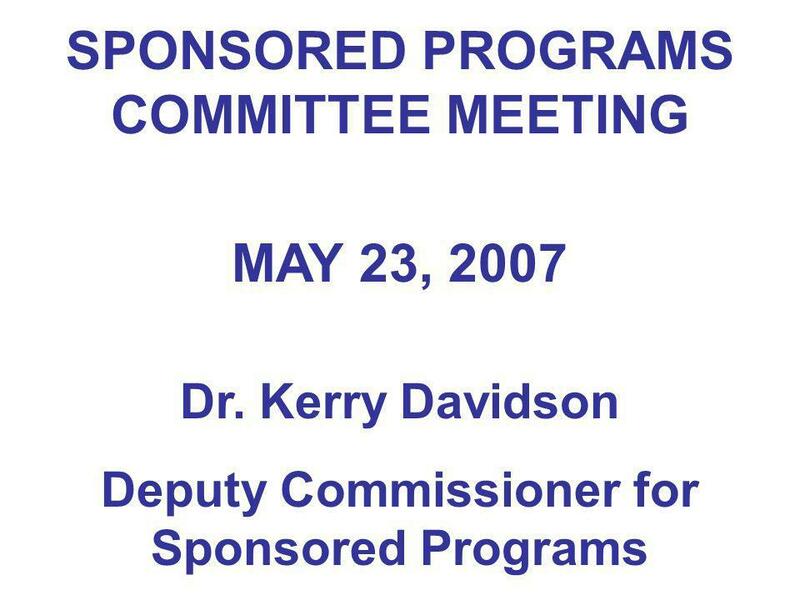 Download ppt "SPONSORED PROGRAMS COMMITTEE MEETING MAY 23, 2007"
Presented by: Bill Valdez Acting Director Office of Economic Impact and Diversity Hispanic Association of Colleges and Universities (HACU) 16th Annual. 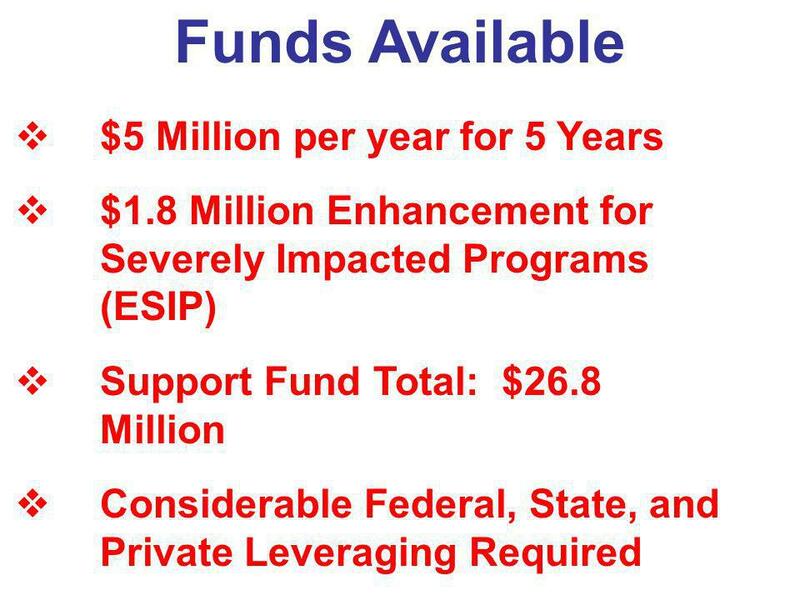 TILE V, HISPANIC SERVING INSTITUTIONS Peter Fusscas Carolyn Proctor HACU'S 16 TH ANNUAL NATIONAL CAPITOL FORUM. 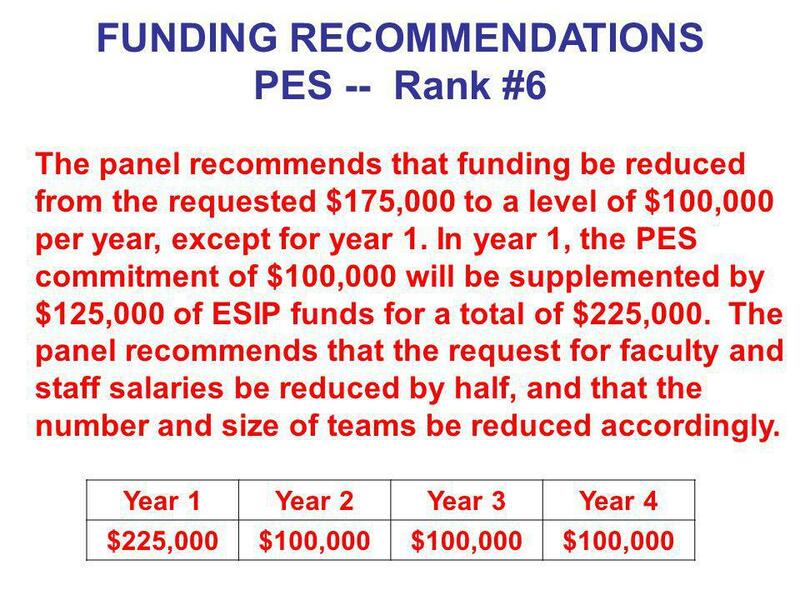 The University of Texas at El Paso Building a National Reputation By Successfully Serving its Region The University of Texas at El Paso Building a National. 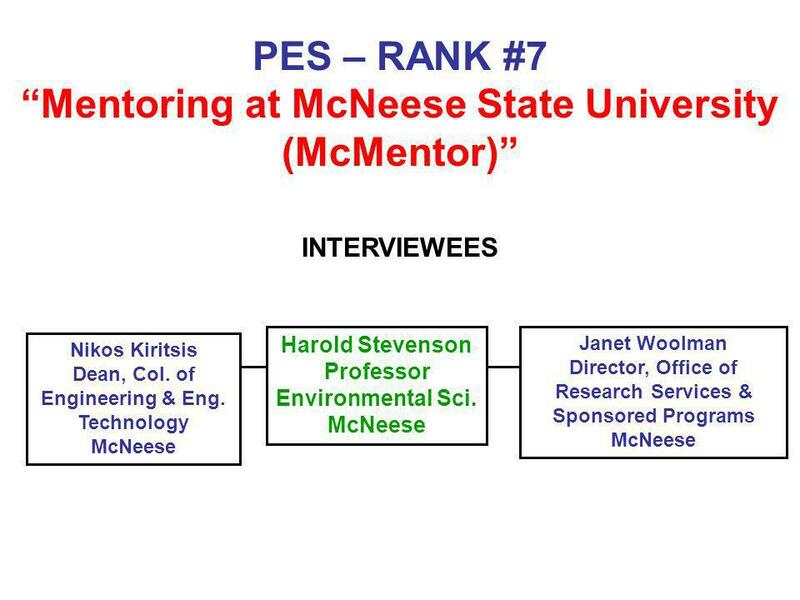 Demonstrating the Legal Sustainability of Effective STEM Diversity Programs Wanda E. Ward Ph.D., Discussant Sr. Advisor to the Director Office of the Director. 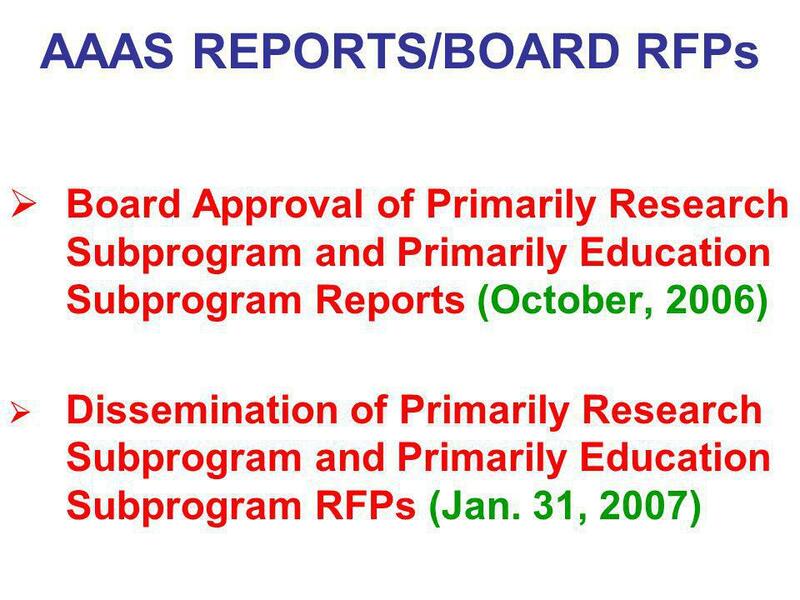 Association for Career and Technical Education 1 Changes and Implications of the Carl D. Perkins Career and Technical Education Improvement Act of 2006. 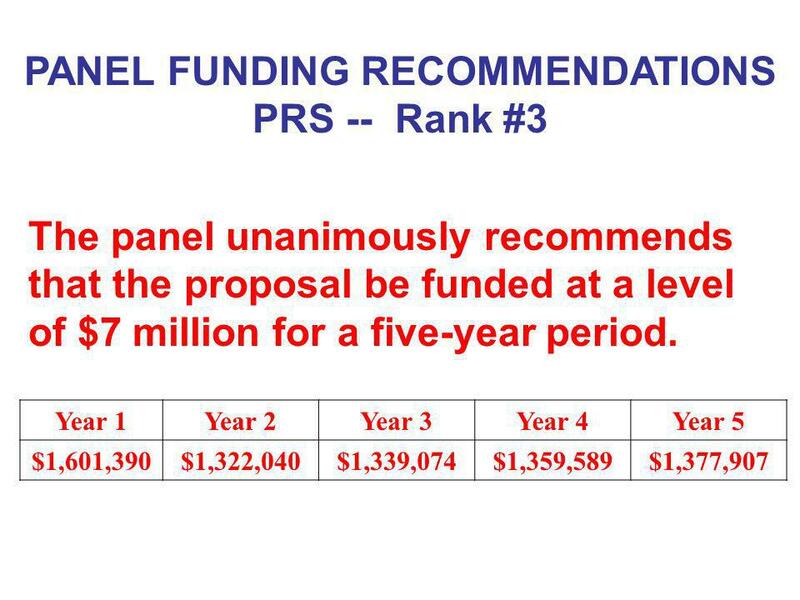 1 1 Connect SI: Enabling a 20 County Multi-Provider Integrated Health Strategy. 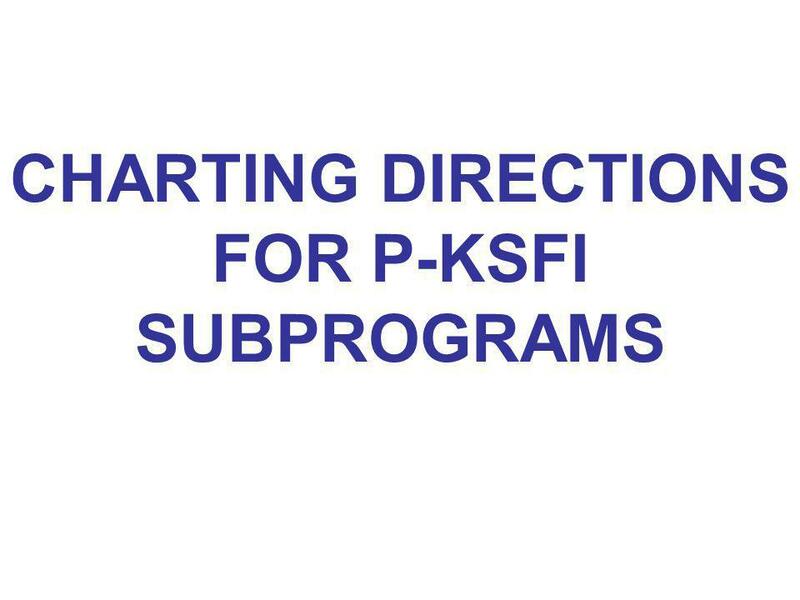 Connect SI: Enabling a 20 County Multi-Provider Integrated Health Strategy. 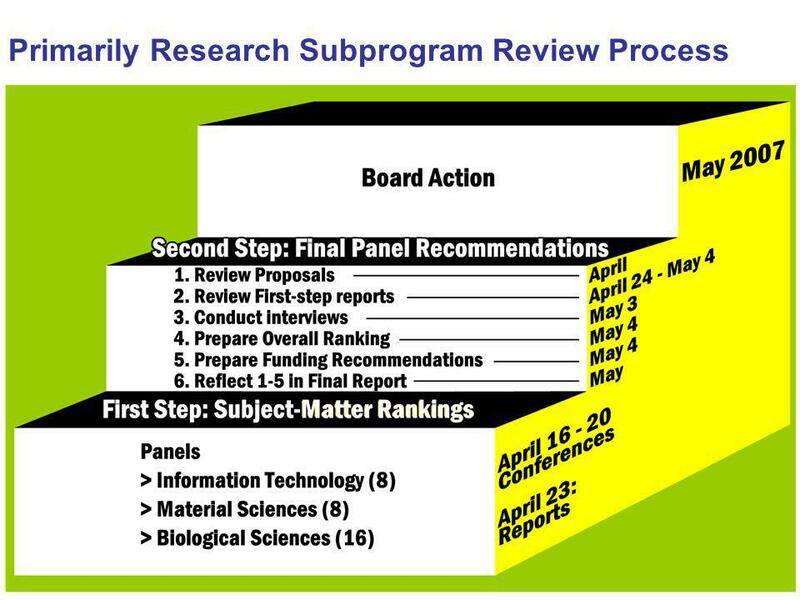 1 Mid-Term Review of The Illinois Commitment Assessment of Achievements, Challenges, and Stakeholder Opinions Illinois Board of Higher Education April. 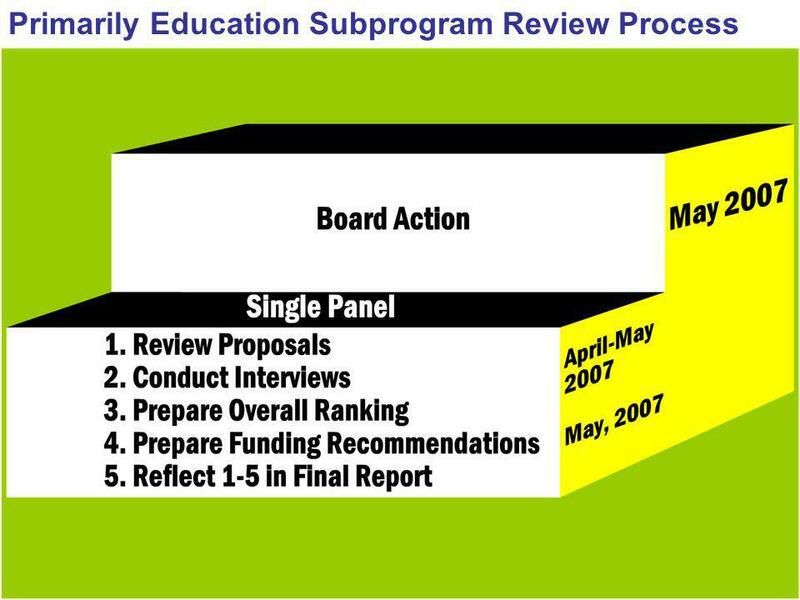 Implementing the Public Agenda for College and Career Success: 90 Day Goal Plan for Improving College Readiness through Implementation of the Common Core. 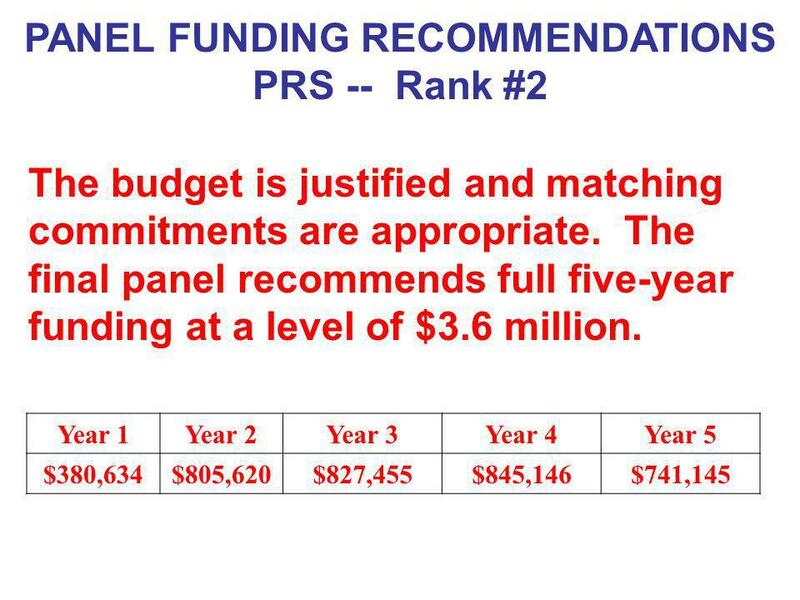 School Board Approved Budget: FY Submitted to Board of Supervisors for Approval Rockingham County Public Schools March 28, 2012 Slide 2. 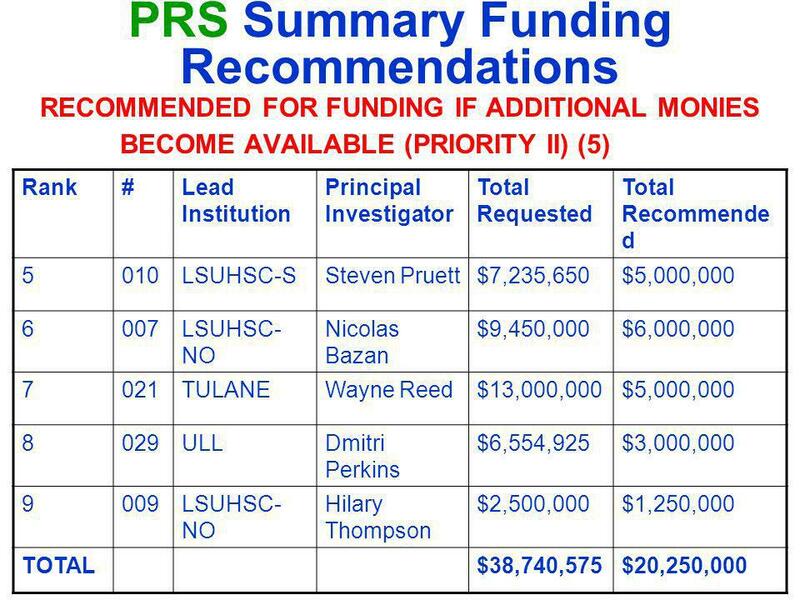 Why Bother? 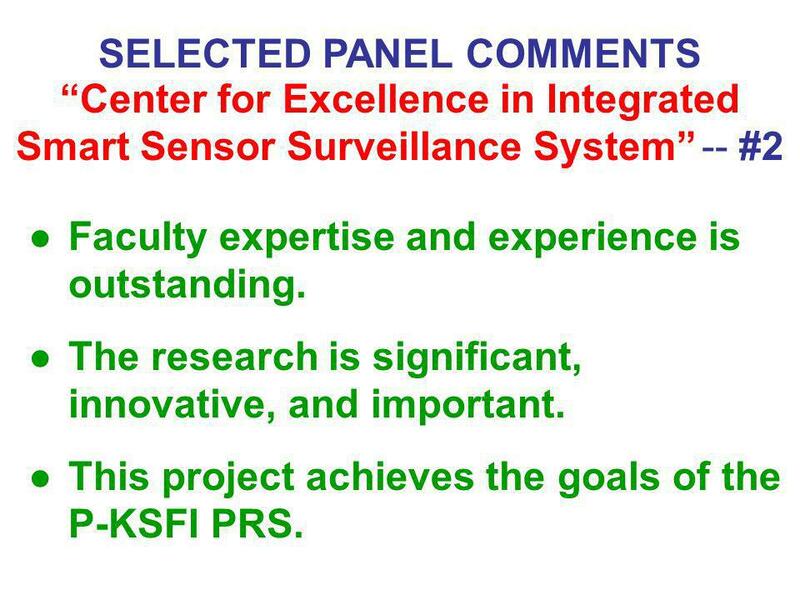 Helping Women Achieve Full Professor Rank Christine A. Hult Utah State University.